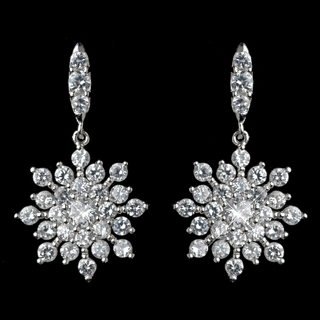 These earrings feature a lovely snowflake design composed of dozens of sparkling Cubic Zirconia stones. They have a lever back and come on a pretty, antique silver-plated base. These earrings are the perfect way to add a little sparkle to your holiday outfit or winter wedding dress!